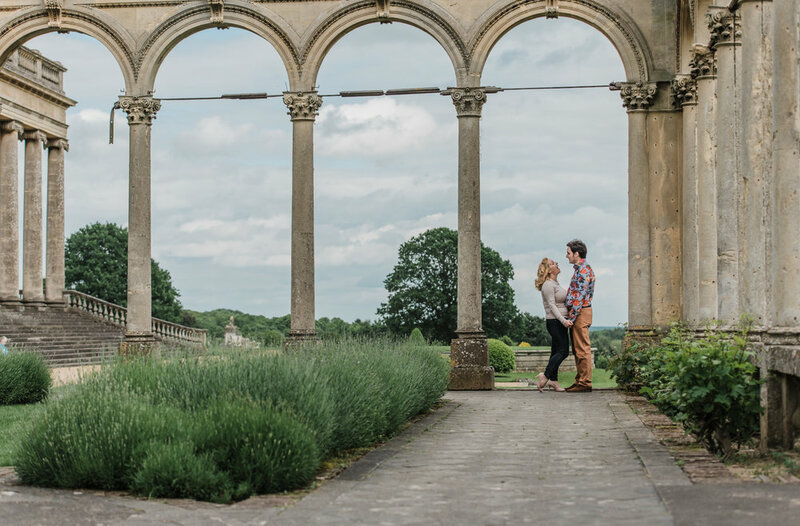 The dramatic dereliction and majestic gardens were not the only reason Liz and Alex chose Whitley Court and Gardens for their pre-wedding session, this romantic ruin is a truly special place for them—not only did Alex do his thesis on the sumptuous history of the court, Liz and Alex shared their first date here! 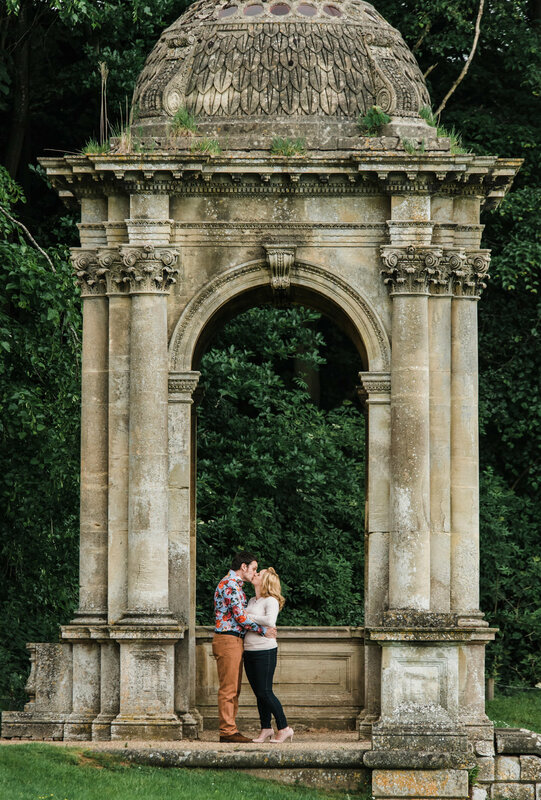 With decadent restored fountains and ornate terraces and pavilions, the remains of Whitley Court are a peek into the lavish opulence of late 19th Century moneyed society; and a beautiful setting for a couple to stroll arm in arm with love hearts circling for all to see! Liz and Alex were so gorgeous together and I can’t wait to photograph their wedding in November!